The Shacks of the Royal National Park Project was initiated by Edie Swift. Edie has captured the history of the shacks and their owners through her interviews. This project is ongoing. John first built a shack at Bulgo in 1962 before buying another one on the beach in 1975. Listen to John’s story here. Brian’s family stayed in a shack at Bonnie Vale, which was built by Jimmy Delany. It was passed down to his Uncle George and continues to be enjoyed by the family. Listen to Brian’s story here. Denis has been visiting his family’s shack at Burning Palms since he was a baby in the late 1940s. His family still enjoy this special place. Listen to Denis’s story here. Les’s family bought an Army tent onsite at Bonnie Vale in the 1940s and his father built a shack there. He liked coming to Bonnie Vale by ferry every weekend and three generations of his family have enjoyed holidays there. Listen to Les’s story here. Michelle’s grandparents built their shack in the early 1960s and it has now been enjoyed by three generations. Michelle now takes her sons to holiday there. Listen to Michelle’s story here. Joy went camping with her family before they built their shack. She has happy memories of their years there until they let the shack go and it was demolished by the National Parks and Wildlife Service in the late 1980s. Listen to Joy’s story here. Joyce used to travel by horse to the shacks at Bulgo when she was a child in the 1930s. Listen to Joyce’s story here. Mark enjoyed the simplicity of life while holidaying at Bonnie Vale and thinks it is a pity that the community has gone. Listen to Mark’s story here. Paul first came to own a shack in the late fifties. Listen to Paul’s story here. Sally’s parents built their shack at Bonnie Vale in the mid-1950s and three generations of her family have enjoyed holidaying there. Listen to Sally’s story here. Bob enjoyed holidaying at Bulgo his whole life and reminisces about community life at this special place. 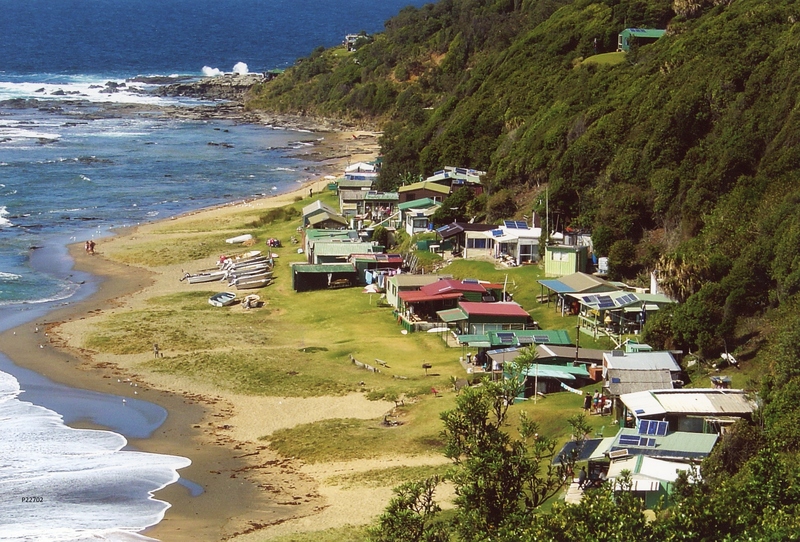 Julie’s family bought Shack 2 at Bonnie Vale in 1957 and three generations of her family have enjoyed holidays there. Listen to Julie’s story here. Helen has been staying at her family’s shack since 1952. It was built by her father, who later helped to construct the road. She lived in the shack with her children in 1981. Listen to Helen’s story here. Fay has been staying at Bulgo all her life and hopes that the cabins will be kept for future generations. Listen to Fay’s story here. Michelle talks about her childhood memories of her family shack in Bulgo. This is an ongoing project and we welcome your contribution. If you are interested in sharing your recollections of shacks of the Royal National Park please contact us.